Are Medicare Plans Available for Veterans? Many veterans don’t realize that they can take advantage of both Veterans Affairs benefits and Medicare. While you can use both healthcare benefits as a veteran, Medicare and VA benefits don’t work together. For example, Medicare doesn’t pay for the services that you receive at a VA facility. In order for Medicare to adequately cover your healthcare needs, you have to receive medical treatment at a Medicare-accepted facility that is in your plan. If you want to receive VA care, then you have to go to a VA facility. Most veterans use VA benefits at VA-designated hospitals. They can use these benefits to get coverage for health care services and items that aren’t included with Medicare. Essentially this means that you don’t have to supplement your medical needs if you have veterans benefits because you can get annual physical exams, hearing aids and over-the-counter prescriptions through your military healthcare plans. However, you may want to consider enrolling in a Medicare Part C plan or Original Medicare plan if you need more healthcare coverage. Medicare Part A and Part B helps veterans get coverage for services that they need at non-VA hospitals and doctors. 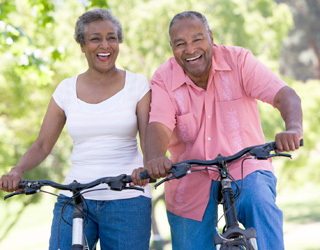 Part B covers services that you might need from a provider that is accepted by Medicare. These benefits work outside of VA medical programs. In addition, if you don’t enroll in Original Medicare when you are first eligible, you might receive a Part B premium fee if you decide to sign up later or for each 12-month period that you went without Medicare Part B coverage. There are also gaps in coverage that you might not be covered for. With this type of coverage, you enroll in a Medicare plan through a private health insurance company. These are plans that still place under Medicare rights and protections, but it includes extras on top of the services that you would receive with Medicare Part A and Part B. The advantage of choosing a Medicare Part C plan is that you get to compare more plans and also get more services. While you do have to part Part B premiums, you typically can get all of your services covered in one plan and not have to pay separately for Medicare coverage and prescription drugs that you might need. I already receive VA benefits. Can I enroll in Medicare? If you have VA benefits, it’s recommended that you enroll in a Medicare plan as well. You need this coverage to get health care that you won’t receive at a VA hospital. While the two work separately, you can get all of your medical needs covered just by having these two programs on your site. You should probably enroll in Medicare Advantage or Medicare Part C if you want to keep your costs low but also only want to make one payment. There are also more services included with Medicare Advantage plans for veterans. For out-of-pocket costs, you may not have to pay copayments for doctor’s visits or on prescriptions with a Medicare Part C plan. You generally don’t need prescription drug coverage if you have VA benefits as these should be included in your VA health plan. However, if you are having trouble getting the right prescription drugs or you want more options, it’s best to find a Medicare plan that can help you get the prescriptions that you need in a timely fashion. In truth, veteran prescription drug coverage is better than Medicare, and you don’t have to pay a penalty if you don’t enroll in Medicare Part D or prescription drug coverage. You should speak to your VA administrator to learn how Medicare enrollment can help you with your coverage and also ensure that you are eligible for Medicare Part C as well. You can also compare different Medicare Advantage Plans on MedicarePartC.com. If you are eligible for both Medicare and VA benefits, then you can receive medical treatment at facilities that accept both programs. However, you must choose which benefits you’ll be using each time that you go to see a doctor or receive any type of treatment. Medicare won’t be able to pay for some services that are only available through VA facilities, so it’s important that you check what type of coverage you have and how it can be used with veterans healthcare plans. If you want the US Department of Veterans Affairs to pay for your medical treatment, then you have to go to a VA facility or have VA allow you to get services at a non-VA hospital or rodctor. Medicare will pay the bill at a non-VA hospital if you can’t get coverage for all of the treatment that you received. Medicare will part for the part of the services that your other benefits don’t cover. Medicare may also be able to pay your co-payment for care that you are authorized for through veterans benefits but only if you go to a non-VA hospital. In general, veterans should try to receive care first at a Veterans Affairs facility and then try to supplement any costs with a Medicare Plan. Is Medicare Part C Good for Veterans? Medicare Part C works like a private health insurance policy. You get all of your treatment from hospitals and doctors who accept Medicare, but your health plan is actually managed through a private health insurance company. You can get HMO, PPO or PFFS with Medicare Part C plans. Each company has these plans, but they are all of different costs. To choose the right one, you should pick a plan that allows you to see your own doctors but also pays for most out-of-pocket costs.